Sleeping on your back is absolutely no easy game. Roughly only 14% of the people in the world can pull it off. Even though sleeping on your back has numerous benefits such as reducing snoring and better back and neck posture; however, it's not everyone's cup of tea. It takes lots of time and practice to get to that stage. The great news is by the time you reach the end of this article you'd be able to learn how to sleep on your back without waking up to see yourself tossed to your side. How to pull off sleeping on your back? What are the benefits of sleeping on your back?? What is the best mattress for sleeping on your back? Why sleeping on your back is hard to maintain? How do you train yourself to sleep on your back? Is it bad to sleep on your back? Using positioning pillows is one of the most efficient ways by which you can practice sleeping on your back at its best. These positioning pillows then help you to position yourself in a particular way that prevents excessive movement during sleep. Sleeping on your back is hard to achieve when you are prone to neck and back cramps. The best way to prevent these cramps is to put pillows under your knees so that your sleeping position is correct. Sleeping on your back puts extra stress on your spine and lower back. If you put pillows under your knees, it helps to relieve you of that stress. We know trying to sleep on your back is difficult, so whenever you realize that your position has changed roll back over. To successfully train your body to stay in this position persistence will become a crucial factor. Sleeping on your back does take a lot of work, to be honest, and a lot of precision. The best pillows to use when you're practicing to sleep on your back is a firm pillow such as a buckwheat pillow. The use of a firm pillow is mainly to support your head better during sleep and for you to not experience cramps. If that does not work, try using two firm pillows instead. It is also important to note that neutralizing the position of your head also helps in better breathing. Sleeping on your back has numerous benefits, one of the most known is that it improves our posture. Sleeping on our backs to straightens our spine, back and neck muscles which is crucial to maintaining an excellent posture. Sleeping on your back also helps with neck and back pains. 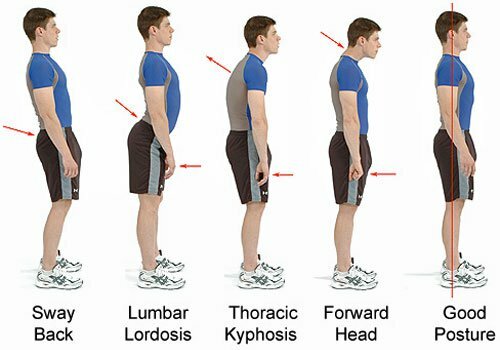 Most persons tend to move around a lot during sleep which causes us to experience neck and back pains because of the lack of support and incorrect postures. Leaving your body in an unnatural position for long periods of time causes soreness during sleep. Another benefit of sleeping on your backs is that aids in acid reflux and digestion. It regulates our digestions and relieves us off acid reflux issues. Another added benefit of back sleeping is that it also aids in better blood circulation. By this point, you should understand how helpful it is to sleep on your back. If you don't here's another benefit that you can gain from doing it. One of the most highlighted benefits it has is that it reduces premature skin aging or breast sagging in women. Most women can attest to the fact that it is very uncomfortable to sleep in a bra. As such, they are more likely to want to take them off which leads to skin stretching when they sleep on their side. When you are practicing to sleep on your back, the one thing that would matter a lot is the mattress. Many people believe that beds don't matter much but believe me when I say this when it comes to sleep every little detail matters. From the position of your pillows to the kind of pillows or mattress you use. There are numerous mattresses out there in the market, but if your goal is to sleep on your back, then you should get a mattress that would be appropriate for that particular sleeping position. The problem with a mattress is that there are many different kinds and composition and materials used to make them. Knowing which mattress is suitable for you is challenging, but by reading out reviews on the best Mattress, you should be able to find yours quickly. For back sleeping the best option is to go for a medium firm mattress because it would provide adequate support. At the same time, it would let your shoulders and hips to sink in slightly for you to be more comfortable, however, if you suffer from back pains, then a firmer mattress would be recommended. Also, you need to check your current mattress to see if it is suitable for sleeping on the back. What are some precautions for back sleeping? As beneficial as sleeping on your back is it is quite hard to maintain. People who sleep on their backs tend to snore a lot because that particular position disrupts the airways in your throat and causes the loud, unpleasant sounds you hear during sleep. However, there are simple natural remedies and devices you can use to stop snoring quickly. Sleeping the back should also be avoided during pregnancy because it is an extreme position to sleep in and even the baby finds more comfort when you sleep on your side. For people who are new to the position it might cause a lot of unrest in the first few nights, but with the help of specific pillows, you should be able to pull through the nights successfully. Sleeping is the one thing that most people want to find the most comfort in doing. They want to ensure that their time cleansing from all those worldly problems must be full of relaxation or bliss. Even as babies in our mother’s womb we would always be slid into that sideways position to get the best beauty sleep, and boy were those nine months full of blissful sleeping. So it is no surprise if you say you find sleeping on your back completely and entirely uncomfortable. So since we’ve spent our entire lives enjoying the benefits of comfort side sleeping therefore back, sleeping can bring us much discomfort instead of the much-needed comfort. In this case, our best bet would be that we start practicing in a way that replicates our side sleeping habits but would have the benefits of sleeping on your back. We need to root out the problem which forces us to revert to our sideways position. This problem is something I like to call ‘pillow on your face’ syndrome. Let’s face it we all love the feel of a soft fluffy pillow pressed against our cheeks. Well here is a way to train yourself to sleep on your back but still enjoy the luxuries of a pillow against your face. So like we all stack our entire sides with these uncountable pillows it would be more efficient if we just put a pillow on our face when we’re learning this fantastic art. Make sure the pillow you use here is a small fluffy one and not huge supportive one. It could be any small soft pillow, the ones you use to stack your couch with or those small decorative ones could work too. Now that we have that resolved we could move to the next problem and get one step closer to achieving our back sleeping goal. Well, the next problem that most of us face when we are training ourselves is that it is sometimes excruciating. That particular position deprives us of our comfort that is why in our moment to seek comfort we slide off to side. In this case, there also this solution of stretching before bed because it relieves your already tight lower back muscles and hamstrings. With time you would experience less pain, and eventually, it would go away, however, to stay in that sleeping position you need to be persistent. Most persons shift after any discomfort, and you’d find yourself right back on your side if you see yourself doing that then turn back to your back. Stacking pillows under your upper body would help a lot in neutralizing your position and would cause you to shift a lot less in your sleep. Also, I would like to mention that patience is vital. We love to quit things just because they require a lot of time and effort, even though we know how beneficial they are to us. This sleeping position has benefits of its own, but it requires a lot of time dedication for it to show its full effect. No it is not! It's actually very healthy for you. We'll tell you why it isn't wrong to do it in a moment, but as with everything in life, there are pros and cons. We are going to now analyze if going through all this trouble is even worth it. For this to be a fair fight, we need to compare other sleeping positions and the pros and cons of resting on our backs. First, let's compare the side sleeping position with sleeping on our back. The sideways position is undoubtedly the most comfortable one and prevents snoring and not to mention it is the best sleeping position for pregnant women. The next one that comes in line is the sleeping on our stomach position. Now this one brings us slight comfort too. Throughout our sleeping period, we toss and turn towards the sideways position or on our stomachs because they are comfortable and rarely ever revert to our backs. However, the stomach position has more CONS than PROS. The stomach position is not suitable for pregnant mothers, and it also disrupts the natural curve of our spine whereas the back position straightens our spine and aids in better posture. Not to mention the fact that it creates body evenness and helps women to have firm breasts. Stomach sleeping also causes neck problems which are very harmful to your body. Back Sleeping does require a lot of work and time and dedication, but it has a lot of benefits such as reducing face puffiness and body inflammation. These benefits are highly effective, and they work for the long run. So maybe it is worth it after all. In this section we'll do a brief summary of all the pros and cons of back sleeping. We know its a lot to digest, and actually training yourself to do it the entire night is a huge task. So to give you a closer look and more motivation here are the key points for the pros and cons. Doesn't leave wrinkles on your face. Prevents Breast Sagging in Most Women. Lets you feel more rested. Does not cause joint numbness (dead arms). Releases Muscle Tension if done properly. These are just a few pros you could gain from training yourself to lay on your back while sleeping. Not the Best sleeping position for pregnant women. Might be uncomfortable for some people. If you think these cons are negligible we recommend that you start practicing immediately. You can leave a comment on other cons it has had in your life to let us know how you feel. If it gets too much over your head and you find it hard to maintain that position, or it’s causing too much discomfort and inconvenience for you then you shouldn't push your body to its limits. Remember your body knows what it needs and forcing it into something would only put you under strain. But this technique of sleeping if practiced thoroughly would become your body’s new best friend one that it would learn to love and thank you for overtime. What is your opinion? Let us know in the comment section!